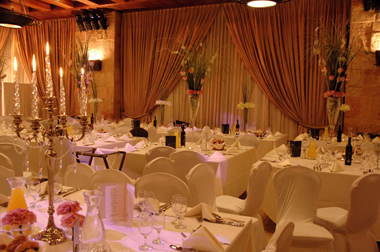 Weddings, Bar & Bat Mitzvahs, Sheva Brachot, Party for any Occasion. 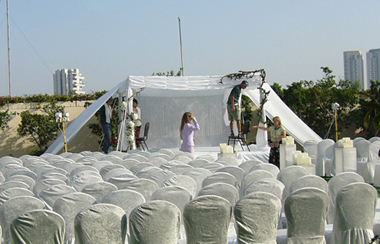 Planning a Simcha is a very emotional joyous undertaking. It can also be overwhelming and very time consuming. When you hire LENNY DAVIDMAN he makes sure every detail is prepared and done before the "blessed event". No matter how many simchas you have made, each one is different and challenging. LENNY DAVIDMAN will smoothly guide you through everything and will be there with you to anticipate and solve any situation that may arise. Many of LENNY'S customers live outside of Israel and rely on his talents to set everything up. They arrive in Israel a day or two prior to the event and are immensely satisfied with the results. After you hire LENNY DAVIDMAN you only have to deal with one person – LENNY DAVIDMAN. Lenny will help you choose & represent you with the Venue & Professionals most suited to your needs. 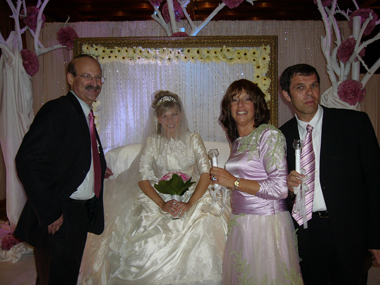 On the night or day of the happy occasion Lenny Davidman and His Staff will be there with you, so you can relax and enjoy your Simcha together with your guests. Lenny & His Staff will meticulously oversee every little detail, coordinating and orchestrating the event as it happily unfolds. and YOU receive all the compliments.